NEW- 6 New Books Out and ALL BOOKS now available Individually !! as ALWAYS - Thank you for letting us, and trusting us, to come inside your email !! HEY !! I only have 16 of these RIGHT NOW. There are another 9,232 stoves on the way. So if you are one of the first 16 people, you get the stove right away, if you are not, we'll send the stove out to you 1 to 2 weeks later. They are all IN ROUTE as you read this. Well.. THIS STOVE is designed with exactly the same method, in fact, its designed by the guy who wrote Volume 4. Mr. Tom Reed. A great man who still blesses us with his presence at age 81. ( Married for 60 Years !!) yes to the same woman. In the books you'll read about up draft gasifier, down draft gasifier, cross draft gasifier.. well.. the stove is an Upside down UP draft gasifier because it makes the gas then it burns the gas with the wood to make more gas. What it burns the second time is what you'd be using in your engine. This is one KICK REAR END stove. 10,000BTUs it not only works as a great stove ( incredible for 3rd world or remote environments ) but it SHOWS you that this making energy stuff is something YOU CAN DO. Wood goes POP and into flame instantly. 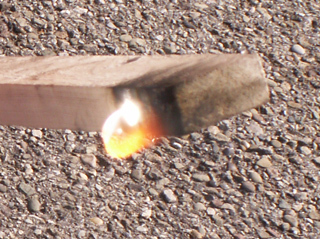 This is a flame LEAPING off a wood 1x2 in horrible, hazy February sunshine in the midwest. Full sunshine, let alone spring / summer sunshine, is incredible. Beth Halacy's " The Solar Cookery Book" is NOW AVAILABLE for sale. 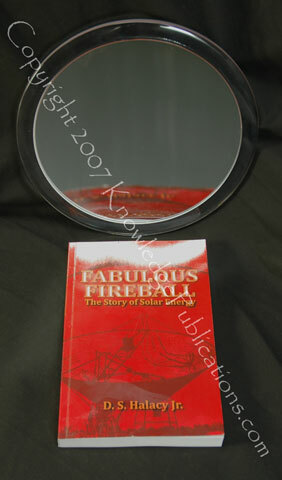 This is a GREAT solar cooking book and it has an INCREDIBLE design for a Solar Oven that beats the heck out of any of the $300 to $400 ovens people want to sell you. Her oven is even better than the ones I made in my book, Sunshine to Dollars. But ONLY for a Limted Time. This is an awesome new book. A synopsis of it is on the website and it covers Energy for Rural Development. This book is really 2 books. The original book and the supplement that came out later. Both are in 1 volume. 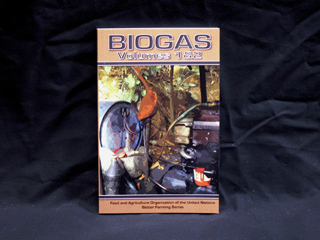 This has a great overview of Solar, Wind, Hydrogen, BioMass and it has one of the best primers I have seen in Stirling Engines. A real basic - this is how it works - with detailed drawings. Includes the same for free-piston engines as well. The section on wind is really good with all of the different rotors and generator types. This is not a 'how too' book. This is 'what is available, what can be done' book that teaches you about the technology. if you like building stuff, making things and are trying to make energy then this book is for you. It is a reference book. It shows about every single mechanism, gear, cog, pulley, movement mechanism you can think of. There is a HUGE detailed list and description of the whole book here: I warn you.. you can get lost in this book for HOURS !!! FUEL CELLS FOR PUBLIC UTILITY AND INDUSTRIAL POWER contains a massive amount of practical, down-to-earth technical information re­lating to fuel cells for power plants. Fuel cell based power plants offer one of the most interesting possibilities for fu­ture power generation. The fuel cell is potentially more efficient than conven­tional plants and since the fuel reacts electrochemically rather than by combustion, there are far less air, thermal, and noise pollution issues. This book will inform you of the many advantages of Fuel Cells like the fact that they can be air-cooled and need not be adjacent to a body of water. It also points out important considerations for Fuel Cell public utility such as the concept of modularity and efficiency considerations. With eight distinct sections ranging from “TYPES OF FUEL CELLS—THEIR OPERATION AND USE” and “ASSESSMENT OF FUELS FOR POWER GENERATION BY ELECTRIC UTILITY FUEL CELLS” to “FUEL CELLS FOR PUBLIC UTILITY APPLICATIONS—GENERAL” and “FUEL CELL POWER PLANT EVALUATION” this book makes the advantages of small-scale fuel cell power units for smaller munic­ipalities, large office complexes and shopping centers obvious. This is NOT a "how to" book. 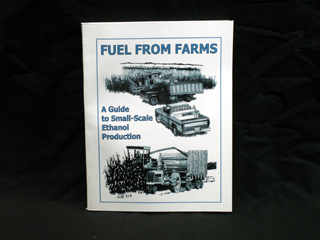 This is more of a reference book for professionals in the field or as an educational book for those who are interested in the field and want to learn more or for those who are in the field. Hydrogen is attractive as a fuel of the future because it is abundant and relatively inexpensive. Hydrogen gas can be burned in air, combining with oxygen to form water vapor which eventually returns to the earth's water supply where it is again available as a source of fuel. Primary energy sources, e.g., nuclear or solar energy, can be utilized to produce hydrogen from water by electrolysis or thermochemical decomposition. The world's oceans, therefore, become vast reservoirs of a potential hydrogen source and the hydrogen itself becomes a means by which energy from the primary sources may be delivered to the consumer. However, the use of hydrogen as a uni­versal fuel necessitates the development and implementation of efficient, standard methods for storing and handling it. HYDROGEN TECHNOLOGY FOR ENERGY is primarily concerned with the technical aspects of storage and trans­mission systems for a proposed "hydrogen economy." 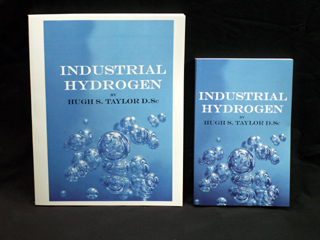 Therefore, the various methods of producing hydrogen are not described in depth because they are im­portant to the hydrogen economy only insofar as the hydrogen must be produced in large quantities at reasonable cost. 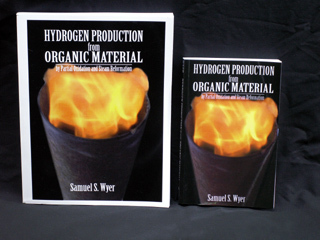 The first chapter describes the hydrogen economy and suggests how it can be inte­grated into the energy system of the United States. 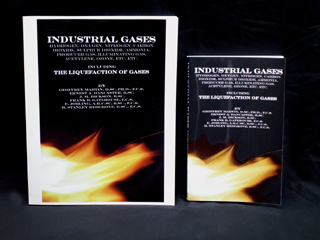 The next three chapters are concerned with the technology of handling the various forms of hydrogen—gase­ous, liquid and solid (in the form of metal hydrides). 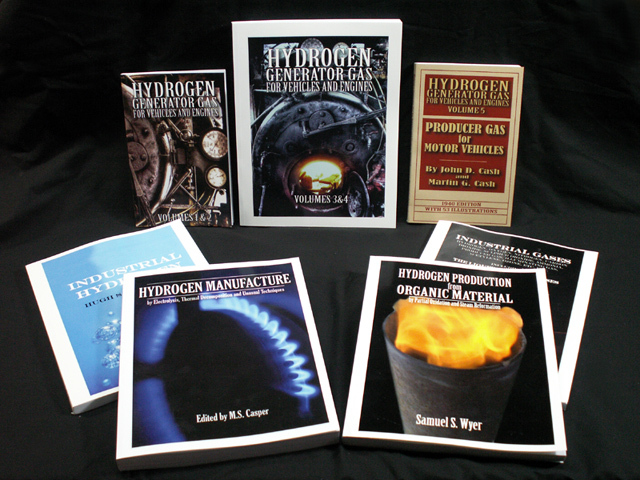 The final chapters describe some of the work which has been done or is under­way in utilizing hydrogen as a fuel or energy storage system and delve into the safety, legal, political, socioeconomic and environmental impli­cations of a hydrogen economy.